Now, all tea drinkers can use the capsule machine to make a cup of tea. 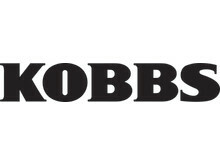 Löfbergs Lila is launching Kobbs tea in capsules. 347 %. That is how much the sales of capsules in Sweden increased in 2011 (Source: AC Nielsen, Jan 2012). Coffee capsules of all kinds have become a best-seller, and the capsule machine is very common in Swedish homes. The machine now has more fields of application. Löfbergs Lila is launching tea capsules under the trademark Kobbs: Himlagott, Citron & Lime (Lemon & Lime) and Earl Grey. - The possibility of brewing one cup at a time in a quick and easy way is a success. It is great to be able to offer all tea drinkers this easy solution. At the same time, you preserve the great taste qualities that you find in loose tea. 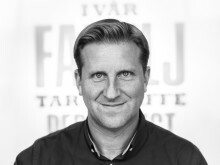 It tastes more and looks more delicious in your tea cup, says Leif Sjöblom, marketing manager at Löfbergs Lila. Previously this year, Löfbergs Lila launched two Fairtrade labelled coffee capsules as well as three different chocolate capsules in cooperation with Cloetta - Plopp, Center and Cloetta Original. - All our capsules can be bought from your food retailer as well as our web shop, says Leif Sjöblom. Prior to publication, it must be approved by Löfbergs.